FOIMan explains why any organisation which blames the destruction of important records on data protection rules is being either disingenuous or is ignorant of what the law requires. In recent weeks The Guardian has drawn attention to the plight of those innocent people who have lived in the UK for many years, only to be told recently by the Home Office that they could face deportation. This week the Home Secretary finally apologised, but many people are still in a legal limbo, unable to prove their status, not realising that they would ever need to. to ensure that personal data … should not be kept for longer than necessary. Keeping these records would have represented a potential breach of these principles. This argument has a long pedigree. It was cited by a police chief constable at the time of the Soham murders as a reason why records were not retained about Ian Huntley which might have prevented his employment as a caretaker at a school. It was used more recently by the House of Commons to justify the early destruction of MPs’ expenses records. In both these cases, and in the latest example, this is just plain wrong. If the press officer or whoever drafted this statement had checked with their Data Protection Officer, they would have been able to tell them this. It is true that one of the data protection principles requires that personal data be kept no longer than necessary, and that data controllers – organisations – are required to put in place procedures to ensure this. However, note that word “necessary”. It places the responsibility fairly and squarely at the door of the organisation that has collected the data to decide what is “necessary” and to justify it. If records are still being used to answer enquiries about individuals’ immigration status (as the Home Office whistleblower has maintained), or are at the centre of one of the biggest scandals to hit modern British politics, I would suggest that it is “necessary” to retain them, and to do so can be easily justified. Data protection laws do not say they must be destroyed. Furthermore, even if there is a view that it is no longer necessary to retain records for their original purpose, both the DPA 1998 and GDPR permit records to be retained for historical research purposes in a record office. The Home Office whistleblower reports that it was suggested that the cards be offered to a record office, but that they were told that no archive wanted them. As public records, the National Archives would have had first option on these and since these records would seem to be of great value to genealogists and those studying the history of migration and minority ethnic communities in the UK, it is hard to imagine them turning such an offer down. Even if they did, are we to believe that other record offices, including for example Brixton’s Black Cultural Archives (based in Windrush Square), a repository specialising in the history of Britain’s African and Caribbean communities, would have said no? It seems unlikely if they were given the opportunity (and the significance of the cards was explained to them). Data protection rules would have allowed the cards to be retained indefinitely in a record office. Data protection rules simply do not require records with continuing value to be destroyed. Anyone claiming that they do is being disingenuous or is ignorant of what data protection requires. 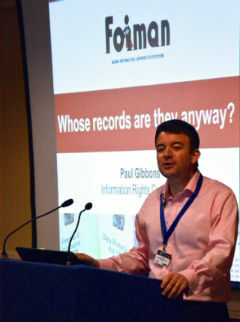 Let’s hope that organisations – particularly those that should know better – stop churning out this misconception every time that they are criticised for the disposal of records. FOIMan discovers that the government has an answer to ‘legitimate’ concerns over the GDPR and FOI. 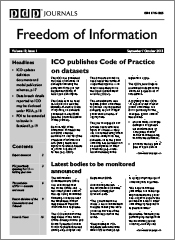 One of the concerns of the Information Commissioner and many observers in relation to the General Data Protection Regulation (GDPR), is that it could potentially lead to less information about individuals being disclosed under FOI. Obviously protecting personal data is important but it shouldn’t stop legitimate public debate around things like MPs’ expenses or council Chief Executives’ pay. The reason this is an issue is that the s.40 exemption for personal data – or at least the part of it that is most often relevant – revolves around the data protection principles set out currently in schedule 1 of the Data Protection Act 1998 (DPA). The first and most relevant of these says that data must be processed fairly and lawfully. In determining whether a disclosure of information is lawful, authorities have to consider whether it is justified by reference to a condition in schedule 2 of DPA. 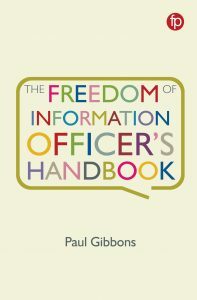 The condition that most often applies to FOI disclosures is that there is a legitimate interest in disclosing the information that can only be met by the disclosure. This has to be balanced against the rights of the individual. It is this condition that has led to lots of personal information about pay, expenses and so much besides entering the public domain. The problem is that whilst GDPR more or less replicates the first principle, and the conditions as well, it explicitly says that public authorities can’t use the legitimate interests condition. In other words, potentially there could be no legal mechanism to justify disclosures of personal information in the public interest. Schedule 18 of the Data Protection Bill 2017, the first draft of which was published yesterday, addresses this by the simple expedient of saying that as far as FOI is concerned, the GDPR bar on public authorities using legitimate interests to justify use of data can be ignored. If this survives the passage of the Bill, the gateway for lawful disclosures of personal data under FOI will remain open. Which is good news for public sector accountability. FOIMan launches a new resource to help practitioners and others get to grips with the General Data Protection Regulation (GDPR). Those interested in privacy had been waiting for years for the European Union to agree its new rules on data protection. Finally, in May of this year, the General Data Protection Regulation (GDPR) became law. Cue party poppers all round. The party was well and truly pooped though a month later. Instead of starting a long campaign to educate colleagues and businesses about their new obligations (which take effect from May 2018), practitioners have been forced to spend the summer and early Autumn speculating about what BREXIT means for GDPR. Even if they wisely chose to continue their preparations, their words fell on stony ground as those in charge looked to government for a decisive message more informative than “BREXIT means BREXIT”. So whilst there’s still a possibility that the rules will change again in a few years, at least we now know that GDPR is coming to stay and will be with us for a while. Long enough for us to give it a bedroom and clear some drawer and wardrobe space. Maybe even to cut it a set of keys. In the meantime, the hands of the clock have been moving apace. There are now just over 18 months to get your house in order, which is not long given how much you need to do to make sure that you meet GDPR’s exacting requirements. Thankfully there are lots of places to look for help. And now I’m adding to the list. I’ve added a new section to the FOIMan site dealing specifically with data protection reform and GDPR. There are free resources to help you understand your obligations, and suggestions as to where to start your preparations. There’s also a link to the GDPR itself in case you need it. I’ll be updating this page from time to time and adding new links, resources and suggestions so keep popping back for more as your preparations continue.